・　The recent Korean summits emphasizing denuclearization and Secretary Pompeo’s recent stand against reprocessing in the United Arab Emirates, Saudi Arabia, and Iran are steps in the right direction. They underline the importance of Japan ending its reprocessing. 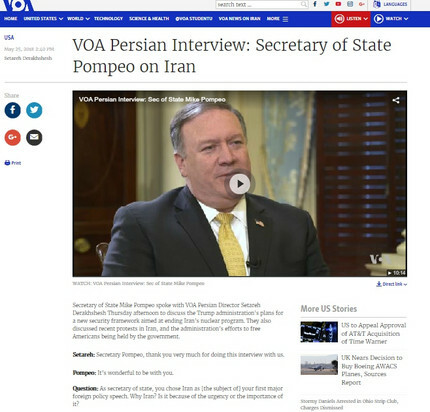 ・　Pompeo : So it is. With respect to the use of nuclear material in Iran, just as we have in Saudi Arabia, just as we did with the United Arab Emirates, we don’t believe it’s appropriate for Iran to have the capacity to create fissile material, to enrich uranium or have a plutonium facility. 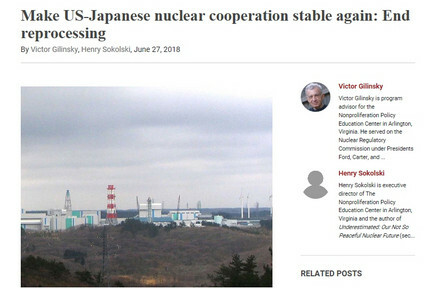 If they want a peaceful nuclear energy program, fine, but they could import that material.